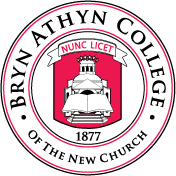 Our friends at Bryn Athyn College provided the text of Swedenborg's Latin works and many English translations, from the STAIRS project. The college's Carpenter Fund has supported the cleaning and linking of Swedenborg's Latin works, the import of Hebrew and Greek Bible translations, and more. The Swedenborg Library has helped scan and OCR some translations from its archives. The General Church of the New Jerusalem has provided permission to use many of its translations of Swedenborg's works, and its Canadian affiliate, the General Church in Canada, has provided support for importing translations in French, Spanish, and other languages, and for developing a smartphone app. 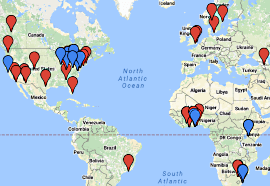 The Lord's New Church has provided financial support, New Church directory information, translation support, and permissions to use their existing translations of Swedenborg's works. The General Conference of the New Church, based in the UK, has provided financial support to the project, and the rights to use sermons by its ministers. The Scottish Association of the New Church has joined the General Conference in this support. The New Church in Australasia has provided financial support to the project, as well as the rights to use sermons by its ministers, and other resources. The General Convention of the New Jerusalem, through its Iungerich Fund, has supported the importing of hundreds of sermons, and the New Century Edition translation of Arcana Coelestia. Also, the Bayside Swedenborgian Church has provided permissions to use many resources from its online archives. Swedenborg Publishers International has consistently provided financial support for importing translations of Swedenborg's works in many languages. The Swedenborg Foundation has provided permissions to use New Century Edition and other translations of Swedenborg's works, and friendly consults on Latin and other interesting questions. The Kempton Project has provided useful data on Swedenborg's scriptural references, and links to scans of Latin editions, and many helpful insights. The Swedenborg Society has provided permissions to use its translations of Swedenborg's works. The Center for Swedenborgian Studies in Berkeley, California, has provided sermons from its archives to explain Bible stories. The New Christian Bible Study Project was started under the auspices of the Pittsburgh Society of the New Church. Some New Church educators' materials have been provided by General Church Education. Walter Weiss, one of the developers of GrandMan Search, supplied key data on cross-references and footnotes that he and the late Jan Weiss had compiled. Web development for the site has been done by SkyMark Corporation.